The Progressive TD65B is a tri-deck finishing mower designed to maintain large areas quickly and economically. With a 15.5' wide cutting swath, the TD65B is capable of mowing over 90 acres in an 8 hour day at speeds up to 6 miles per hour. 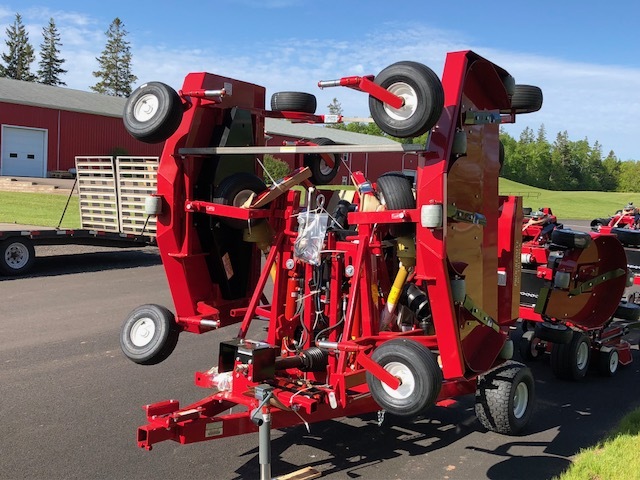 Three independent floating mower decks are mounted on a transport frame that allows each deck to follow the ground contours commonly found in school yards, recreation areas, and golf courses. height of cut range 1"-5"